Complete set of Sheep number branders with evidence of years of old red Ruddle paint. 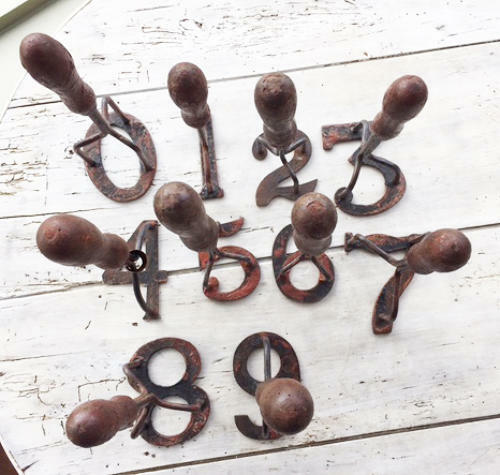 These came from the same farm and have obviously been used as a set though they are near matching but so rare to find all numbers still together. Used to mark the sheep once shorn.